DJ, producer and @Staycore117 collective co-founder @Dinamarca117 makes music that moves from Latin rhythms to trance melodies. He lets loose with a Dazed Mix full of exclusive, unreleased music, taking us deep into his world. Read more: http://bit.ly/2jXhnTm 1. Mechatok – Placer (Dinamarca remix) 2. 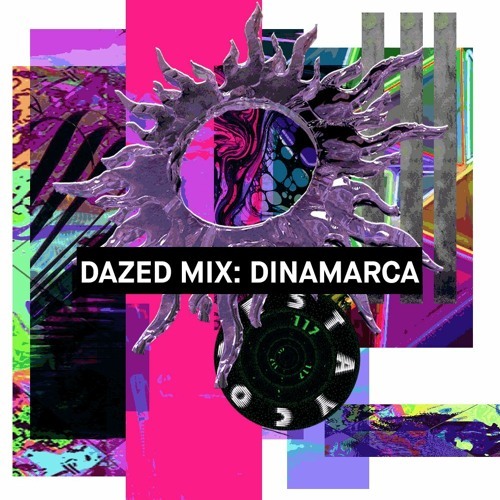 Dinamarca – ??? 3. Predikador – Taian Riddim 4. Anuel – Tenerte En Mi Cama 5. Dinamarca – ??? 6. Dinamarca – Religion (feat. Resla) 7. Ms Nina – Tu Sicaria 8. Dinamarca – Señal 9. Cho – Popalik 10. Dinamarca – DINABLAM (feat. KABLAM) 11. Dinamarca – Niños 12. MC L – Da Vinte Medley 13. Dinamarca – 9PM 14. PND – Not Nice (Dinamarca edit) 15. Dinamarca – ??? 16. Dinamarca – Moto 17. Dinamarca – Resurrection 18. Dinamarca – La Caro City 19. Dinamarca – Holy 20. Dinamarca – Paraíso 21. Dinamarca – Juguete 22. Dinamarca – ?? ?